Live Vision’s on-board visual equipment includes a primary camera that records video footage of a 120-degree exterior view of the road ahead, as well as a secondary driver camera that provides a 100-degree view of the vehicle cab, including infrared illumination for low-light conditions. The third and fourth cameras are placed according to client requirements. It’s pretty much a certainty that if a truck is involved in a crash, the truck will be blamed for the crash. Well, that’s our experience based on judgements made immediately after such incidents. What is letting truckers off the hook and painting the true picture in crashes is the on-board camera which provides irrefutable evidence of what actually happened. 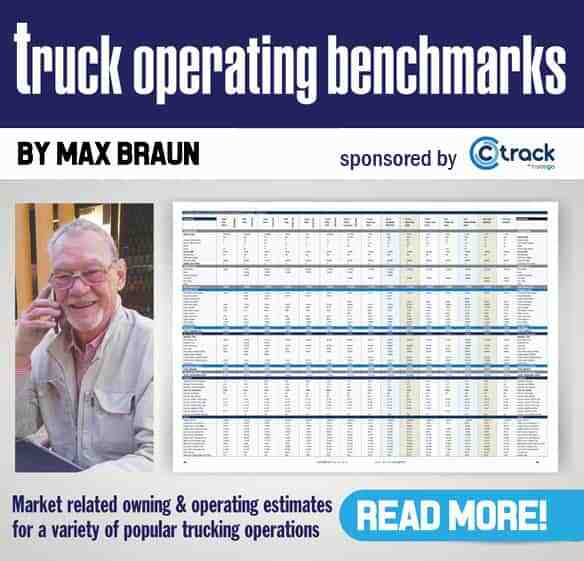 It is thus FleetWatch welcomes the launch of Live Vision, Cartrack’s new addition to its product offerings. Live Vision is a flexible, comprehensive and easy-to-use four-camera vehicle video system that keeps fleet owners in visual contact with their fleets through video event recording and transmission technology offering local and cross boarder coverage. Through access to real-time footage and tracking tools of vehicle and driver performance on the road, this system aids the improvement of driving skills, controls costs and offers protection against legal liability. Footage is instantly accessible instantly via an app or web interface and is also archived for later use, if necessary. Managers and drivers can then review the video footage to improve driving behaviour. Crucially, as fleet managers enjoy access to a clear video record of an accident and any other event, legal confusion and costs are simplified and eliminated in some cases. The Live Vision system contains up to four cameras that are connected to a control unit and recorded and stored on-board 24/7. The video footage can be paired with location and speed information and subsequently, fleet owners receive more accurate information and a fully detailed version of any event. The Live Vision operating system, together with the Cartrack tracking unit, allows for the setting up of geofences and Points of Interest (POI) for both location purposes and event management. Events can therefore be set to be triggered on vehicles entering, exiting or experiencing extended times in geo-zones. Live Vision’s on-board visual equipment includes a primary camera that records video footage of a 120-degree exterior view of the road ahead, as well as a secondary driver camera that provides a 100-degree view of the vehicle cab, including infrared illumination for low-light conditions. The third and fourth cameras are placed according to client requirements. The system also has various accessories, such as microphones and speakers, a panic button, door switches and other inputs able to trigger events. “The extensive nature of the footage means an event can be analysed by management to coach the driver, to action the event or for any other processes. The footage spells out exactly what actions led to the event, how it was handled and what the outcome was,” says Cartrack South Africa CEO, Andre Ittmann. Commenting on the rationale behind the introduction of Live Vision, Ittmann says that South Africa has a high road accident rate and our country’s roads are heavily used by commercial vehicles of all types, which results in driver management becoming an onerous and expensive exercise, with high-risk levels for commercial fleets. “New technologies – such as Live Vision – are helping companies of all sizes to manage these risks, while simultaneously dramatically improving driver performance. The technology allows for better productivity from a vehicle, ensuring that this asset is used to its maximum capacity. 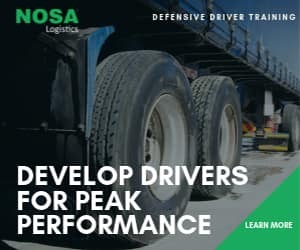 For example, improving driver performance reduces collisions and also brings down operational and maintenance costs relating to tyres, brakes and fuel use. Equally, the tool protects and vindicates drivers and companies in accident situations, while fraud is reduced and claims are resolved quickly and accurately thanks to there being clear, visual proof of driving incidents. This proof can also be used for coaching, which is important in reinforcing a company’s commitment to the safety of its employees,” he says. Live Vision is available on a monthly subscription service and cash option which covers software services and support. Although it is relatively new to the market, Ittmann says the tool has been welcomed by the market. “The response has been overwhelmingly positive. These technologies improve risk management and productivity dramatically and as the technology evolves, the technical ability and performance of the product will only improve. It has also been interesting to note that a lot of positive feedback comes from drivers themselves, who really seem to value the opportunity to develop their skills,” he says.